The students of SDMIMD organized the flagship student event of the institute Naissance 2017 edition - a National Level Management Fest during February 3 & 4, 2017. 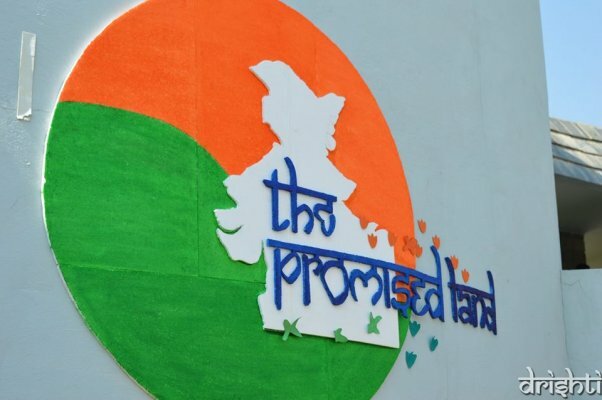 The event was designed under the theme “India-The Promised Land” which reflects India as a jewel in the emerging market crown. 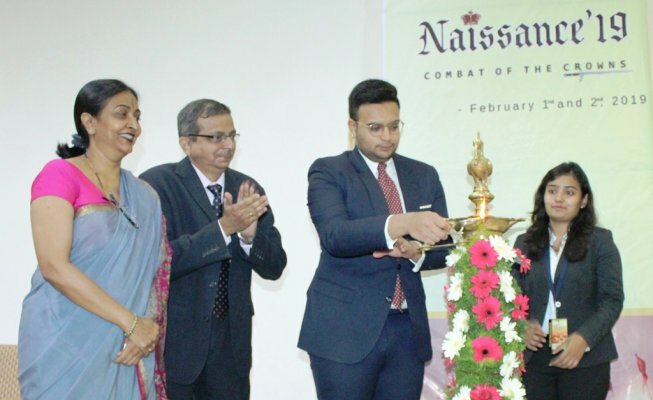 Naissance’17 challenged the management students from across the country on various fields of management through 8 events, namely, The Best Manager, Finance, Marketing, HR, Operations and Logistics, Systems, Business Plan and Photography challenge. 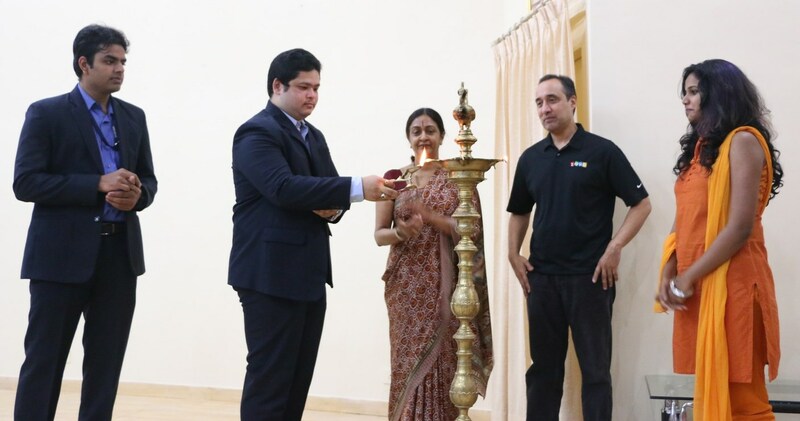 The event which was a host to around 140 participants from different B-Schools, was inaugurated by Dr. H. Gayathri, Deputy Director, SDMIMD, by lighting of the lamp, Dr. R Jagadeesh, Student Coordinators Mr. Narendran V and Ms. Shushma Chengappa joined. The event began with the welcome note by Ms. Shushma Chengappa followed by an address by Dr. R Jagadeesh and Dr. H Gayatri. The two day event was sponsored by Acer Incorporation, Vijaya Bank, Reliance Jio and GRS Fantasy Park Mysore. The valedictory function of the management fest held on February 4, 2017. Prof M. Sriram of SDMIMD, Mr. Rajagopal of Reliance Jio, participants and the students of SDMIMD were present during the prize distribution and valedictory ceremony. Mr. Nirmal Abraham from DCSMAT Cochin was recognized as the “Best Manager” in Naissance 2017. St. Joseph’s Institute of Management Bangalore was identified as the Overall Champions for bagging the maximum number of awards in the event. The two day fest came to an end with the vote of thanks delivered by the Student Coordinator Mr. Narendran V.
“Naissance” is a platform for all those aspiring zealous youth, who strive to make a difference in today’s world. 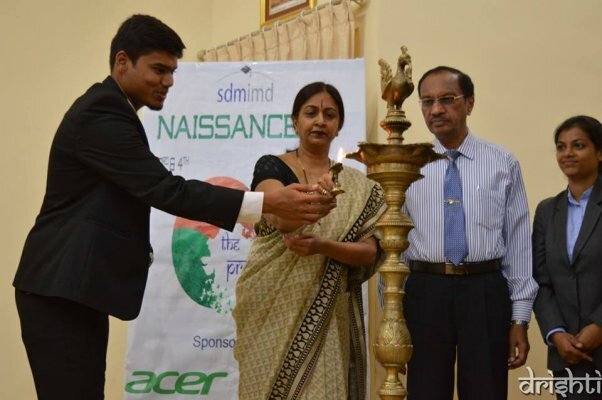 The 10th Edition of Naissance was inaugurated on January 27, 2016 by Mr. Raj Sabhlok, President, ManageEngine and Zoho.com at SDMIMD Auditorium. During his inaugural address Mr. Raj spoke about the changing trends in management schools across the globe and what is relevant in the current scenario. He expressed his views on the theme for this year’s Naissance 'Cross the chasm'. Mr. Raj narrated about Zoho Corporation & the products they have to offer and ended his speech. The grand 3-Day Annual Management Fest driven by SDMites was on the theme “Crossing the Chasm”. 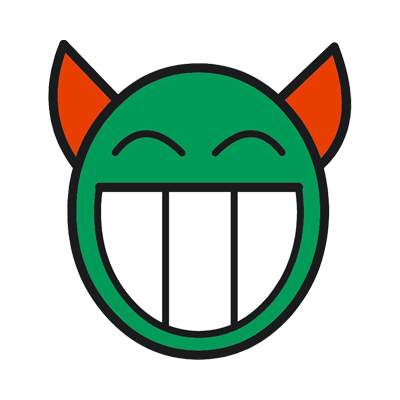 The fest comprises of exclusive events that challenge the participants with utmost difficult hurdles to cross the chasm. The event was conducted with broad spectrum of general management and flagship event of naissance that is ‘The Best Manager - Mahrfia’. The flagship event of Naissance 2016 ‘Mahrfia – the Best Manager’ was won by Ms. Chandini from Christ University (Kengeri Campus), Bengaluru; the Vittaksh - the Finance event was achieved by Mr. Mohit & Ms. Chanchal from Vanguard College; the marketing event – The M- Square Inc. was accomplished by Mr. Rishab Gupta and Mr. Pranav Mandal from IBA; and the Big Future - the General Management was gained by Ms. Nolita D’Souza, Ms. Kiran and Ms. Keerthana Kurup of Christ University (Main Campus). 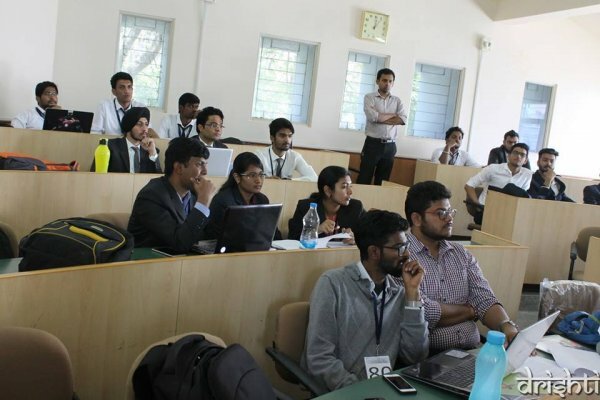 The participants from different B-Schools across the nation experienced the simulation of tough competitive corporate world in Naissance 2016. ‘Competition is global, thus we need people who have got idea, who are fearless to experiment, both entrepreneur and intrapreneur’ thus said Mr. Girish Karunakaran, President Eurasia, Software Paradigms International Group LLC (SPI). 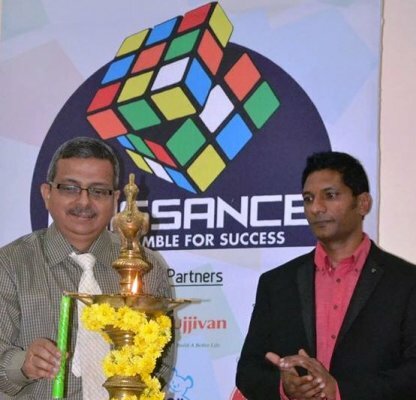 He was speaking during the inauguration of 3-Day management fest – NAISSANCE 2014. Mr. Girish emphasized on being ethical, intelligent and energetic which are the core prerequisites for any MBA graduate to make an entry to the corporate world. During his inaugural speech he talked about the industry-institute-interface between SPI and SDMIMD which has yielded quality results in various activities. Mr. Srinivasa Rao, ‎Manager - Sales at SPI and the alumnus of SDMIMD, shared his experience as a student at SDMIMD and the challenges he managed at SPI in various capacities. Mr. Shahbaz Akthar, the Student Coordinator presented about the NAISSANCE 2014 and its theme to the audience. Dr. N.R. Parasuraman, Director of the Institute welcomed the gathering.